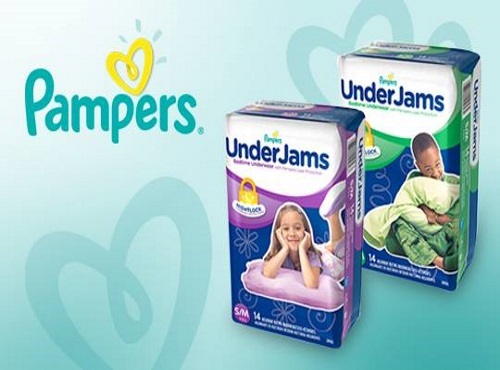 Bzzagent has a new Canadian campaign for Pampers UnderJams and there is also a campaign out for Pampers Baby Fresh wipes! Help your kids wake up dry so they’re confident enough to take on the day with Pampers UnderJams. The only bedtime underwear with a NightLock ultra-absorbent core, UnderJams lock away nighttime wetness so your kids start the day dry and confident. Plus, they’re made with cloth-like material and a low waistband, so no one will know your little one is getting a little extra help. It’s time for a stronger, softer baby wipe you can really get behind: Pampers Baby Fresh wipes. With SoftGrip Texture that gives your little one a soft, gentle clean, Baby Wipes are 4X stronger than the leading US subbrand, and leave a refreshing scent. Plus, these hypoallergenic wipes are made with lotion and pure water, keeping your baby happy, refreshed and clean. Head over to BzzAgent.com or check your email to see if you received an invite. Not a Bzzagent member yet? Sign up here to register, it's free.